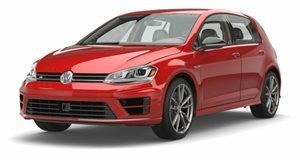 The Golf R 400 Sounds Like We Want It! Features a menacing growl that matches its numbers and looks. Since its debut at the Beijing Motor Show in April, the Golf R 400 concept has grabbed our attention as what will probably become the most exciting Volkswagen ever. With its 400 horsepower 2.0-liter turbo-four, this outstandingly hot hatch – which has already been approved for production – is intended to sprint from 0-62mph in just 3.9-seconds on its way to a top speed of 174mph. And now, we can rest assured that the car will also sound absolutely phenomenal while it sends that power to all four wheels.